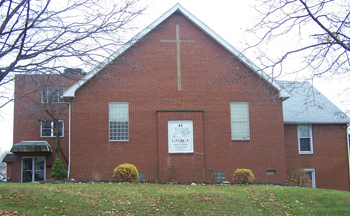 The Grace Brethren Church in Rittman, Ohio, marks its 100th anniversary this weekend. An article in today’s Daily Record in Wooster, Ohio, details a bit of that history. A portion of the story appears below. Click here to read the complete article. One hundred years ago the world was a different place. World War I had yet to begin, Daylight Saving time was not used, and income taxes were not yet approved. In Smithville, a small group of Rittman residents left an established church to found Rittman Grace Brethren Church, celebrating its 100th anniversary this weekend. Celebrations will begin Saturday at 6 p.m. featuring music by Nancy Green, a reception and open house. On Sunday, former Pastor Bob Russell will speak during a 10 a.m. service full with music by the Alumni Choir. All services and events are open to the public. The Rittman church traces its roots back to the founding of the German Brethren movement in the 18th century. After migrating to the United States, and eventually Wayne County, Zion Hill Brethren Church was founded in Smithville; Rittman and Sterling formed their own Brethren churches. Once the Rittman church was founded, the families met in the Realty Block Building in downtown, all the while planning and saving for a building of their own. Rittman Grace Brethren’s building at 44 S. First St. was dedicated Nov. 25, 1923 and is the same building they worship out of to this day.